I’ve noticed a trend lately, of being effortlessnes. A casual outfit that still looks put together but in cool, I-have-no-cares way. Slightly un-done hair, that has that just rolled out of bed look without being too messy. -call it a day and look that chic. (unless you’re Erin Wasson of course, she can do that). But sadly not everyone else. here’s Part 1 in a 3 part series, being how to style your hair to look effortless! that simply adds a little volume and makes it smell good. I happen to own both kinds, and have found what seems to me like the best 2. 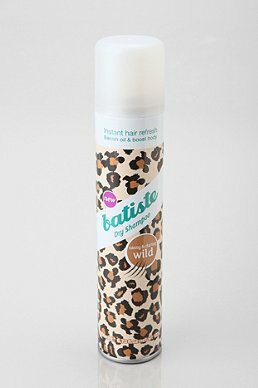 For dirty hair, I like Batiste. It costs only $8, you can buy it at Walgreens and its fabulous! I like this brand because when you spray it, it comes out white so you know where it’s sprayed on. Wait a minute or rub it around with your fingers and the white goes away! My tip for this kind of dry shampoo is to spray a bit on your roots, where the oil is, then hold up your hair next to your roots, and spray underneath(like you would a volumizing spray) and rub in again. I also like to flip my head over and rub it in, that seems to help with the messiness! 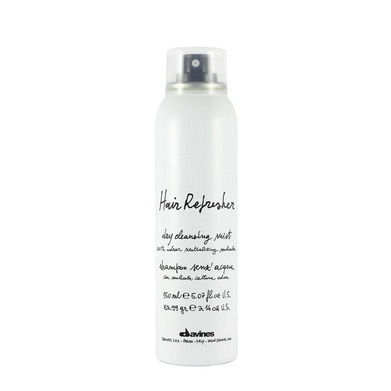 For clean hair, I love Davines‘ Hair Refresher, and it does exactly what it says-freshens the hair! I like to apply this the same as Batiste, but with a little more if I think I need it. For messy hair, beach spray is almost a must. I like to alternate a few out, simply because they all are a little different, yet similar. Keep in mind I do have thin hair, with extensions making it medium thickness, so results may be different on other hair types! 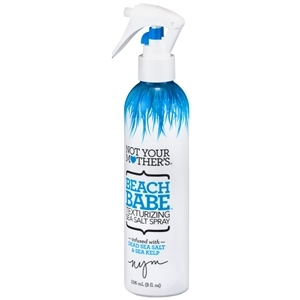 My favorite on the cheap would have to be from Walmart, Not Your Mothers Beach Babe spray-I saw this one actually on The Beauty Department’s Beach Spray For All Hair Types, for Fine Hair(which I have!). I love this one not only beach it’s cheap, but you can “layer” it by applying some, then some more until you achieve the look you want! You can buy this one here! Another product that’s similar to beach spray is one of my all time favorite products EVER, by Kusco Murphy Beach Hair, which is a mix between a gel and a hair product that’s similar to beach spray, in a tub. I’ve found that this product looks best/feels best when I get a little out, about a half dime’s worth and mix it with my hair oil (I posted about it a while back). Hair tools that I love are a 1 inch curling iron and my wet brush. I use Hot Tools 1 inch iron, that is a little challenging to use at first-but the results are SOO lovely!! There are 2 ways that I will either do my hair to look effortless-with heat, and without heat! but sometimes I like to use heat for a little more oomph! for B you’ll just follow the directions AFTER the curling(you don’t have to use heat, yay!). First you’ll need to spray your hair with heat protectant(duh). Then start curling your hair in small sections if you have finer hair like mine, so that every inch gets curled. The curling method I like to use is curl about 3/4 of you entire hair shaft, only hold the heat on for a few sec-and then immediately tug downwards on the hair to give it that loose, curled look. For getting beach waves without heat, you’ll need to braid your hair before going to bed-but NOT with wet hair. This braid is a tad different from a normal braid however. First of all, if your hair is fine like mine, you’ll make 2 separate braids, one on either side of your head. For thick headed gals, you can make one braid down the back of your head. To create this braid, make a regular braid-but inverted. Meaning, instead of braiding strand-over-strand, braid strand-under-strand, and try to do this loosely. After your braid is done and secure, hold the bottom where your pony tail is tied and gently pull out each section of your braid so that the strands poke out a bit, this will make your braid become looser and make beach waves overnight. In the morning after sleeping with braids, or right after curling hair with heat-this is the last step you’ll take! After either step of making hair curly/wavy, you’ll brush out your hair with a wet brush or a bristled brush. This will make the hair softer, smoother and more natural looking. 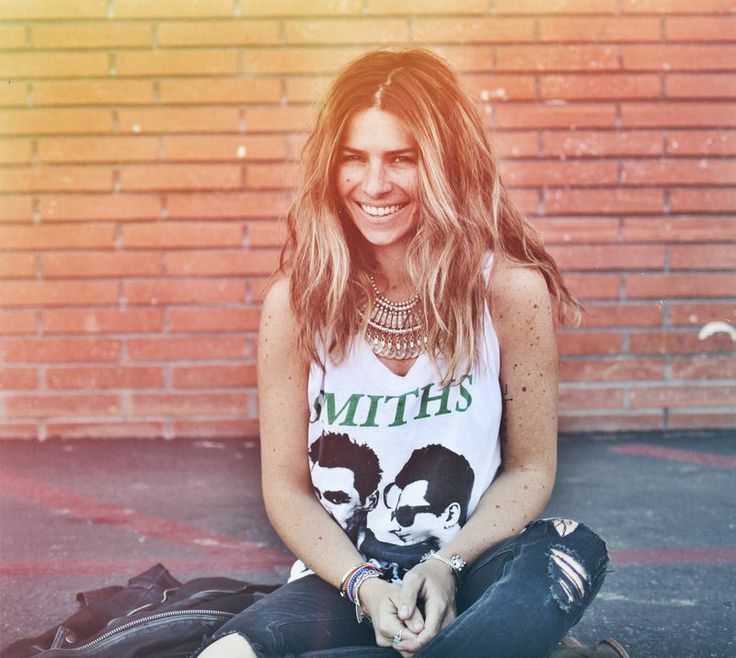 After brushing it out, you’ll apply some dry shampoo at the top of your roots to make your hair fuller. Rub it in, and flip your upside down to create more volume. This next step really creates the beach waves! Mix together the Kusco Murphy and a hair oil of your choice-I like to do this because I find that using the Kusco Murhpy product alone is too much and makes the hair crunchy. Run this mixture though your hair, and scrunch it in-towards the bottom and the middle of the hair. Don’t brush it out-this will take out the curls! Next, spray beach spray towards the middle of hair and the ends a bit, scrunch more. You can add hair spray if you want, but I don’t-simply because the because the beach mixture stays all day! That’s it for Effortless Hair, within the next few days I’ll be doing a, Effortless post about makeup and style. Until then, here are some lovely examples of Effortless hair. Posted on January 15, 2014 by flancake13	This entry was posted in Tutorial Tuesday. Bookmark the permalink.